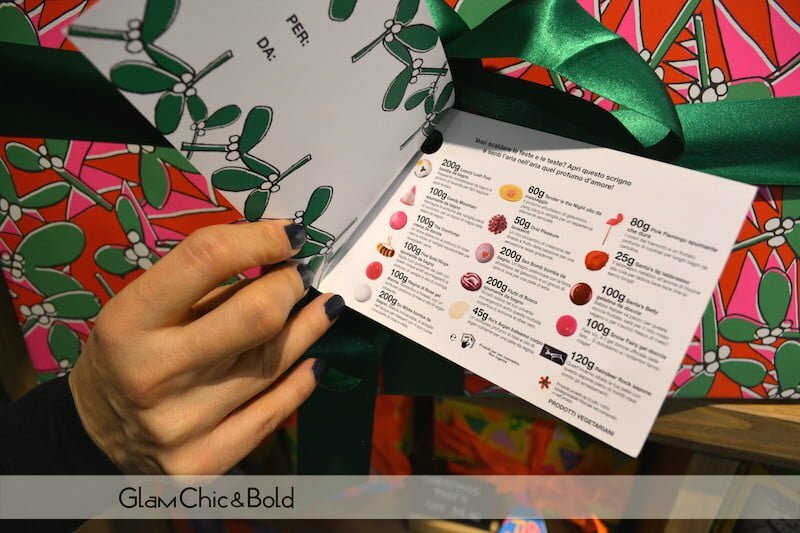 Sarà difficile scegliere un bel regalo per queste feste natalizie, ma se ancora non avete scelto il vostro regalo Lush Natale 2015, ecco una piccola lista di quelli che potrebbero fare al caso vostro e che trovate nella boutique di Lugano e di altri punti vendita in Svizzera e Italia. 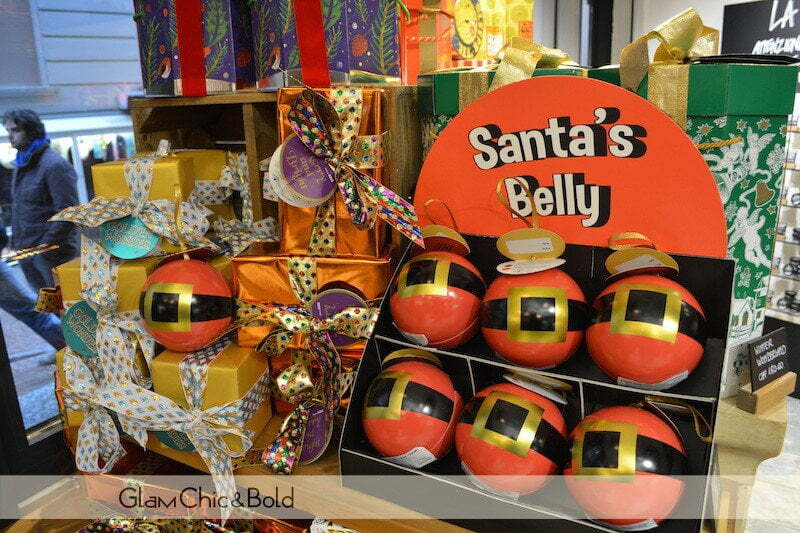 It will be difficult to choose a gift for this holiday season, but if you have not chosen your gift Lush Christmas 2015, here there is a short list of those that you find in the boutiques of Lugano and other points of sale in Switzerland and Italy. 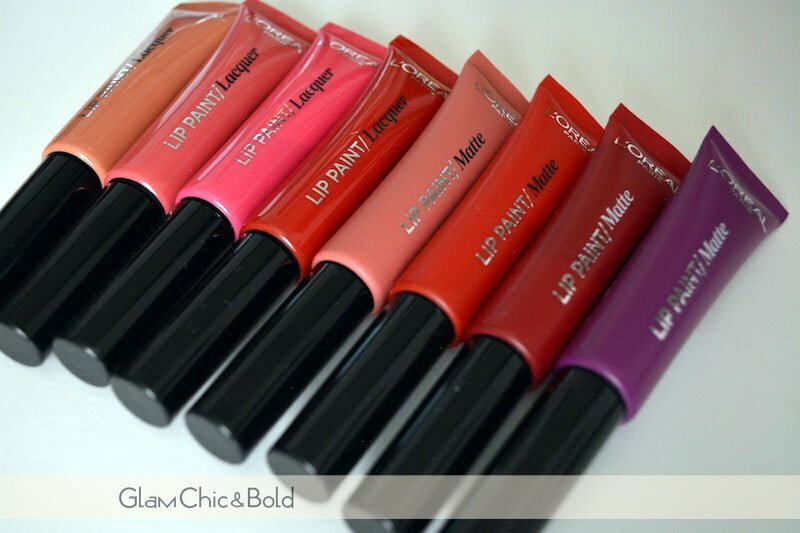 In assoluto questo è il regalo più grande che si possa fare – e ricevere – firmato Lush Natale 2015: questa splendida scatola Lush che vi lascerà senza parole o solo con un “WoW”, contiene tantissimi prodotti per la cura del corpo, in edizione limitata. 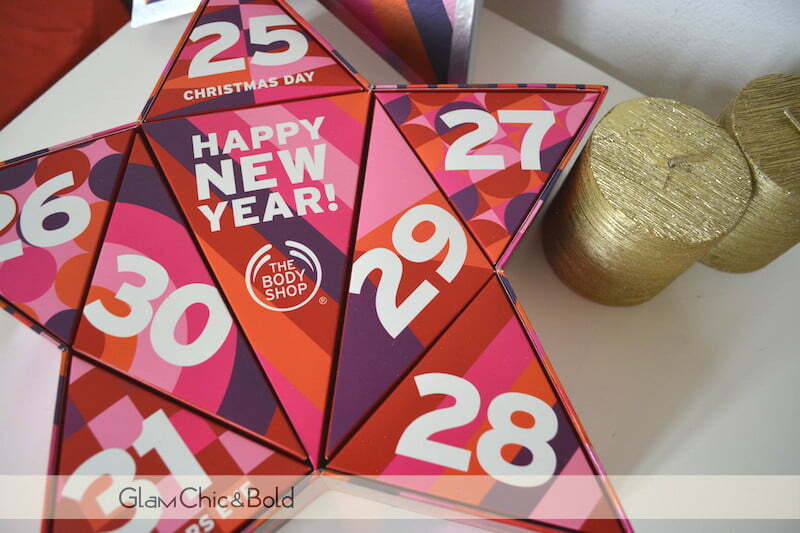 Absolutly this is the bigger gift by Lush for this Christmas 2015. I love its packaging, but all products that there are inside the box are better  . Che cosa dire di questa splendida confezione? Io mi sono innamorata del pacco e di quel bel nastro verde smeraldo. Naturalmente, il contenuto è altrettanto interessante e vi sono diverse proposte dell’autunno inverno 2015-2016 di Lush. What can I say about this beautiful package? 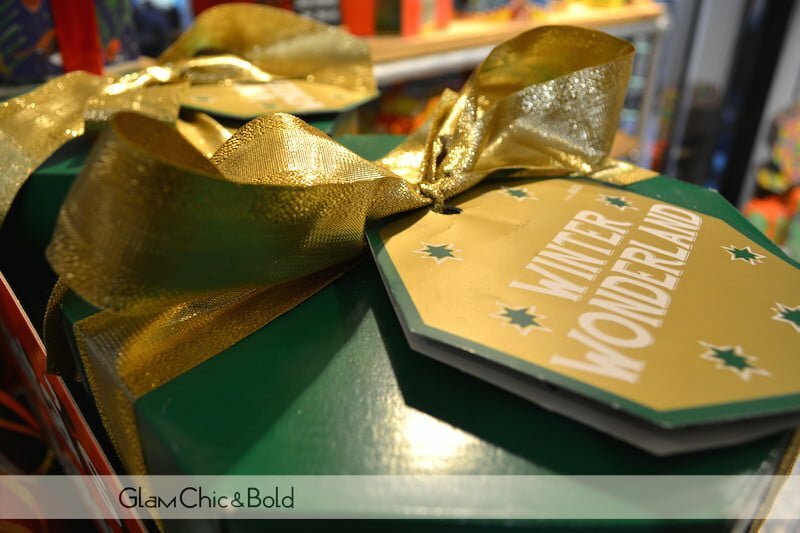 I fell in love with the package of this box and that beautiful emerald green ribbon. Of course, the content is just as interesting, and there are several proposals for autumn winter 2015-2016 by Lush. Per una pelle d’incanto vi propongo questo pacco regalo Lush Spectacular: all’interno troviamo una selezione straordinaria di prodotti pensati per la doccia, il bagno e il corpo, più uno scrub labbra rosso. 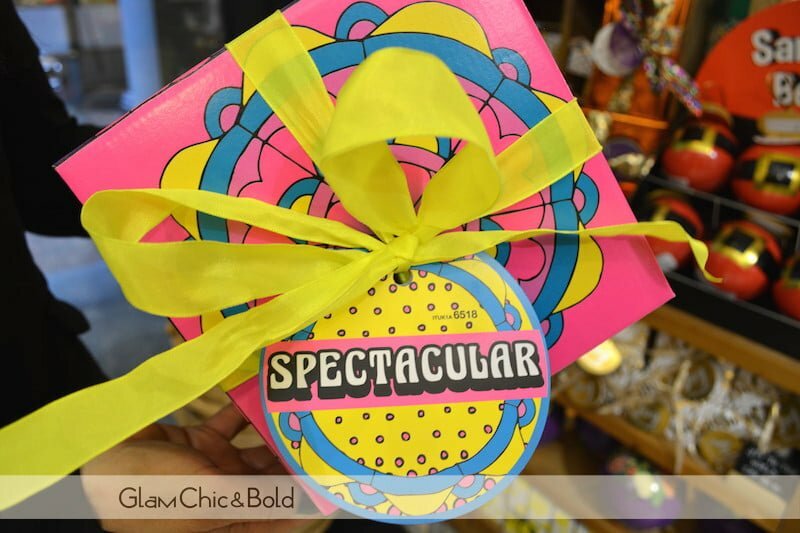 For skin of enchantment I propose this gift bag Lush Spectacular inside we find an extraordinary selection of products designed for the shower, bath and body, plus a scrub red lips. Se siete alla ricerca di un regalo per coccolarvi, questo fa sicuramente al caso vostro! All’interno troviamo ben due prodotti Lush: la crema mani Love & Light ed il sapone Yog Nog. If you are looking for a beautiful gift to pamper yourself, this is the perfect present for Christmas 2015. Inside this little box you find two products by Lush: hand cream Love & Light and soap Yog Nog. Questa scatola regalo Lush Natale 2015 è veramente molto bella: contate i giorni che mancano a Natale direttamente sulla scatola Sleeps ‘til Christmas Lush per concedervi poi un po’ di relax con questi prodotti. All’interno trovate: lo spumante da bagno Five Gold Rings, la bomba da bagno Integalactic, la bomba da bagno Frozen, coccola da bagno Snow Angel, bomba da bagno Father Christmas ed il sapone Yog Nog. 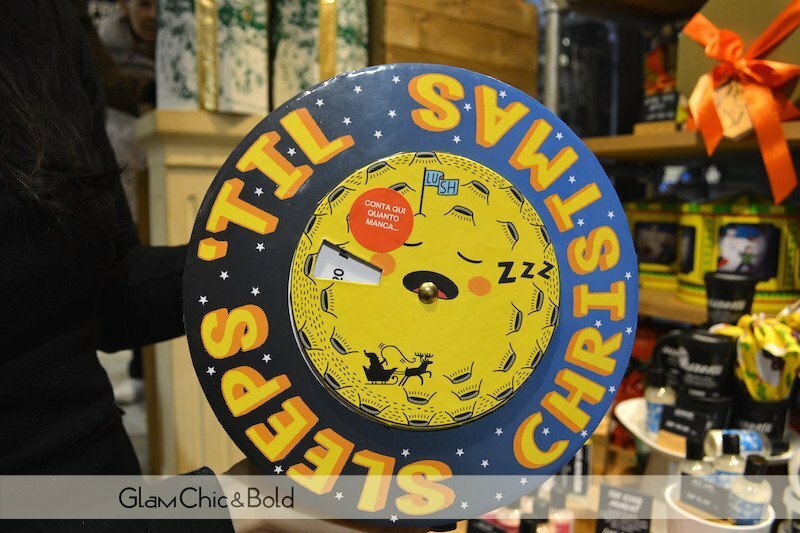 This gift box Lush Christmas 2015 is really very beautiful: you count down the days to Christmas directly on the box Sleeps ‘til Christmas Lush then treat yourself to a little’ relaxation with these products. 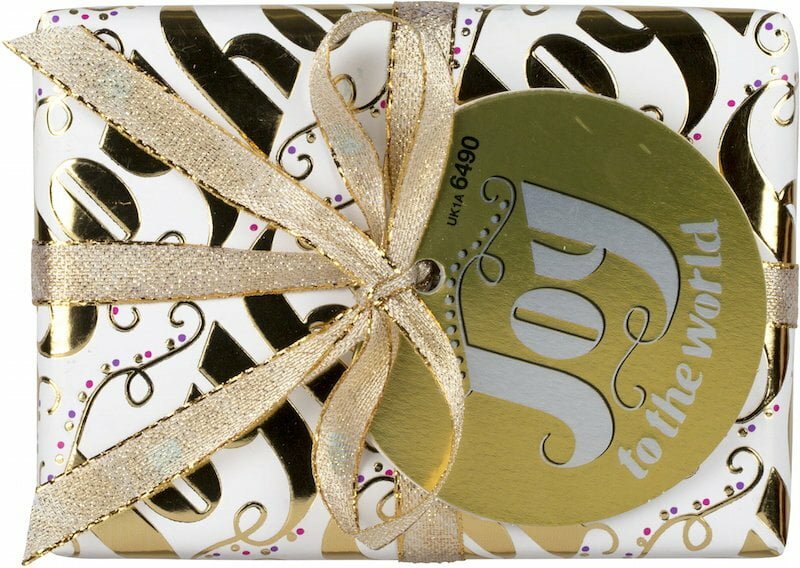 Inside you will find: the champagne bath Five Gold Rings, the bathroom Integalactic bomb, the bomb bath Frozen, Snow Angel cuddle towels, bath bomb Father Christmas and soap Yog Nog. 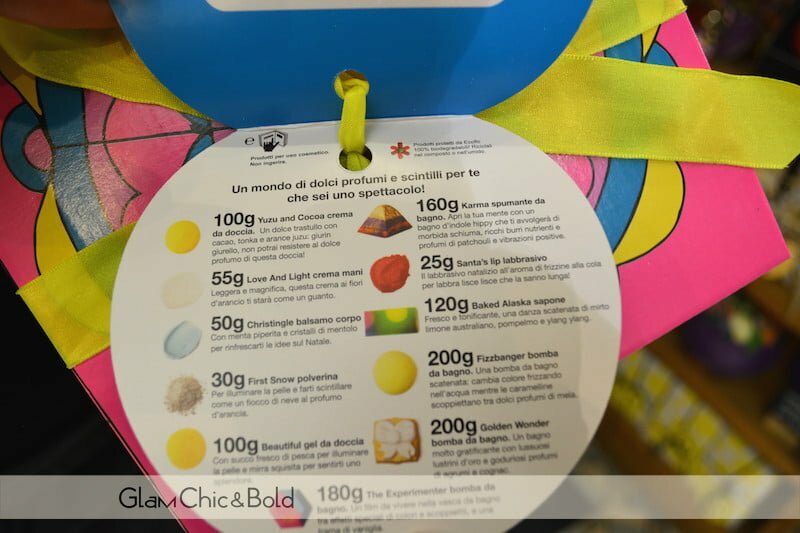 Venite ad ammirare questa scatola Lush piena di prodotti belli e gioiosi per il vostro bagno. Quando il freddo si fa sentire, lussuosamente coccolarsi. Questa splendida scatola, con una bella renna, contiene ben 5 prodotti Lush Natale 2015: sapone Snow Cake, la crema corpo Karma Kream, la bomba da bagno Golden Wonder, il gel doccia Beautiful ed il Magic of Christmas. 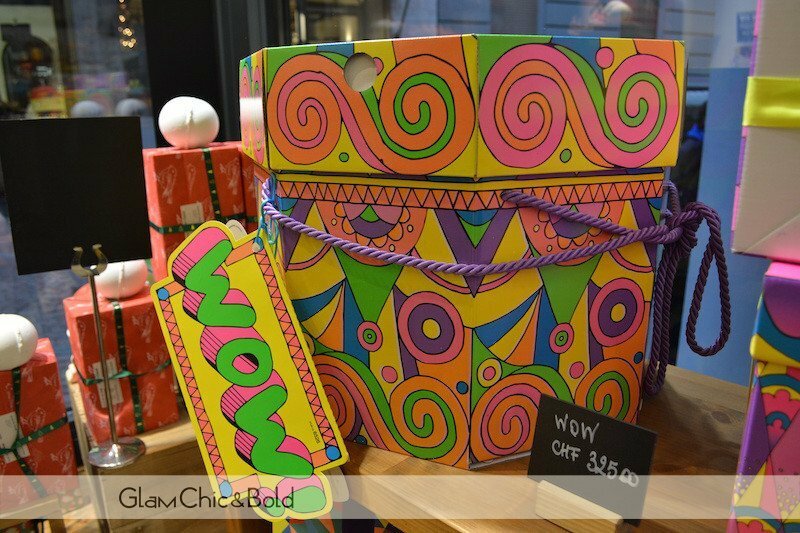 Come and see this box full of Lush products beautiful and joyful for your bathroom. When the frost bites, luxuriously pamper yourself. 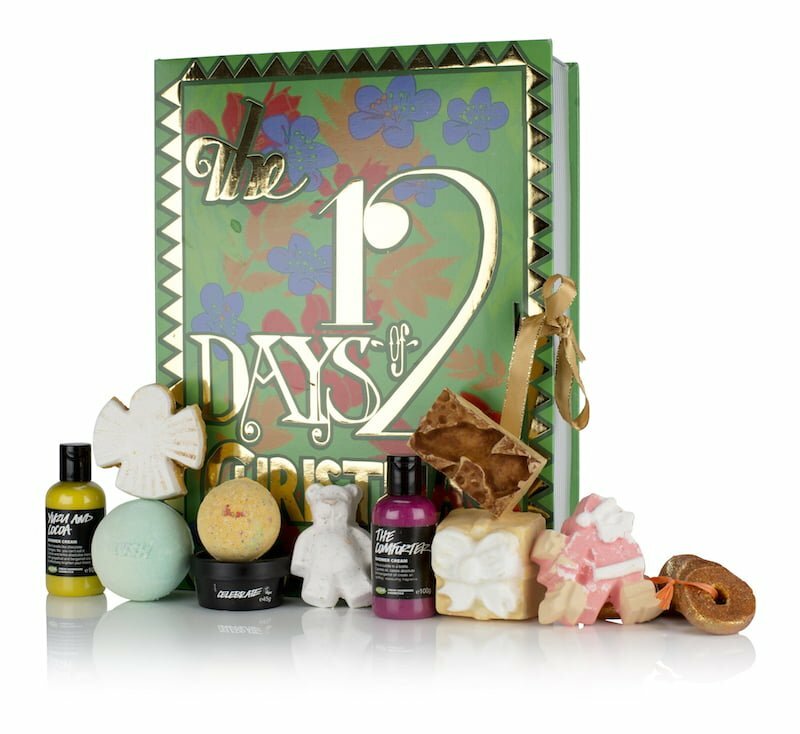 This beautiful box, with a beautiful reindeer, well contains 5 products Lush Christmas 2015: Snow Cake soap, body cream Karma Kream, the Golden Wonder bomb bath, shower gel Beautiful and the Magic of Christmas. Questa grande scatola in edizione limitata contiene veramente tantissime proposte per tanti bagni caldi da fare durante il periodo delle feste. 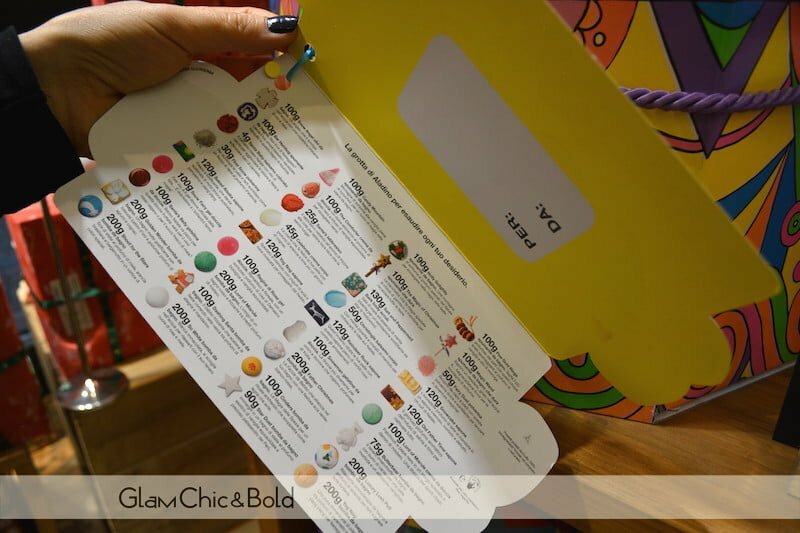 All’interno di questa scatola Lush ci sono 20 prodotti: Snow Angel, bomba da bagno Yog Nog, Ceridwens Cauldron, Candy Mountain, Peeping Santa, Yoga Bomb, The Magic of Christmas, Holly Go Lightly, Frozen, Star Dust, Twilight, Father Christmas, Luxury Lush Pud, Cinders, Bar Humbug, Lord of Misrule, So White, Butterbear, Golden Wonder e Comforter. This big box limited edition contains very many proposals for so many hot baths to do during the holiday season. Inside this box there are 20 products Lush: Snow Angel, bath bomb Yog Nog, Ceridwens Cauldron, Candy Mountain, Peeping Santa, Yoga Bomb, The Magic of Christmas, Holly Go Lightly, Frozen, Star Dust, Twilight, Father Christmas, Luxury Lush Pud, Cinders, Bar Humbug, Lord of Misrule, So White, Butterbear, Golden Wonder and Comforter. Anche questa box Lush è veramente unica: è realizzata in latta e inoltre ha un’animazione che permette di trasformare questa confezione regalo in un vero e proprio carillon. In questo modo, potrete avere come dono anche la scatola da utilizzare pure per altri scopi. All’interno della scatolare regalo Lush troviamo Snowman Fun, il sapone Yog Nog, la bomba da bagno Butterbear, bomba da bagno Golden Wonder, bomba da bagno Shoot for the Stars, bomba da bagno Star Dust e spumante Magic Wand. 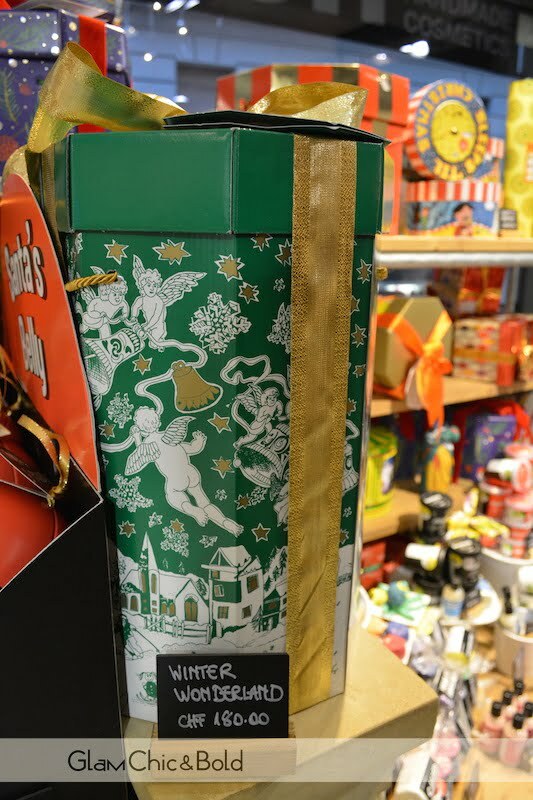 Even this box by Lush is truly unique: it is made ​​of tin and also has an animation that allows you to turn this gift into a real music box. This way , you can have as a gift box also be used for other purposes as well . 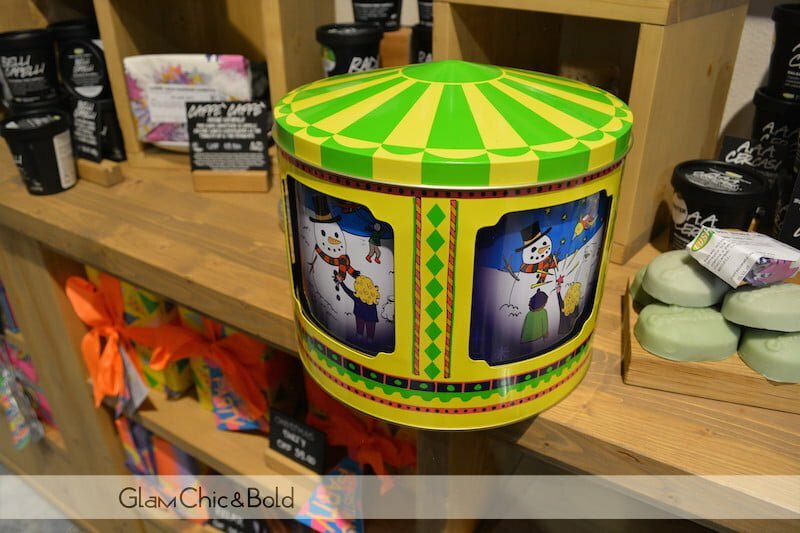 Inside the box we find Lush gift Snowman Fun, soap Yog Nog , the bath bomb Butterbear, bath bomb Golden Wonder, bath bomb Shoot for the Stars, bath bomb Star Dust and sparkling Magic Wand. Terminiamo con una decorazione di Natale davvero speciale che si configura come novità per quest’anno: in questa boccia vestita della stessa casacca di Babbo Natale troviamo due piccoli regali. All’interno ci sono la gelatina Santa’s Belly e Fun Rosso con il quale potrete giocare e poi lavarvi. Let’s end with a very special Christmas decoration that it configurations such as a new proposal for this year: inside there are jelly Santa Claus Belly and Fun Red which you can use to play and wash your body! 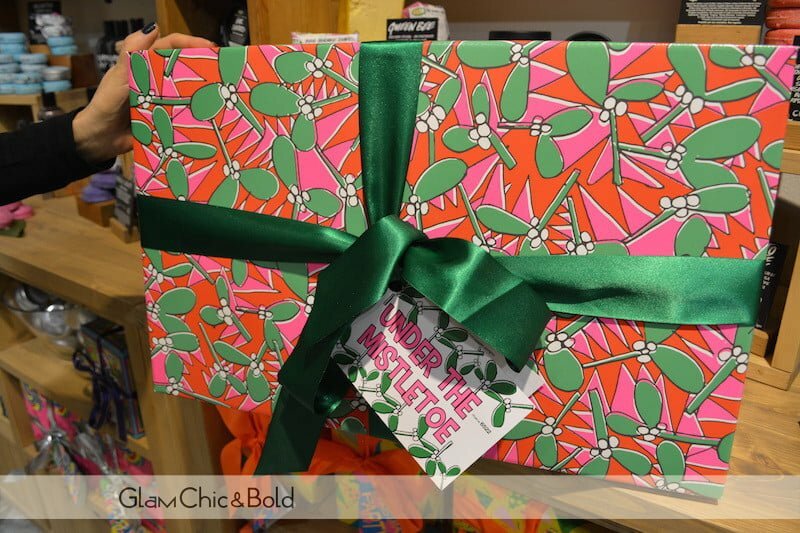 I love LUSH’s holiday gift boxes! They make wonderful gifts.